Litecoin Mining : mine LTC without software ! Just let this page open and start mining Litecoin ! Create your own mining page and start earning LTC ! For free ! You want to create your own page to start mining Litecoin and start earning in cryptomonnaies ? Just send us an email at contact [at] startup365.fr and we will create you a page similar to this one for free. Then you will just need to let your page open when you are using your computer and you will start mining and earning Litecoin ! We will give you access to a Dashboard to follow your daily incomes. Can I choose to mine an other cryptomonnaie ? YES ! Just let us know and you can mine Litecoin, Bitcoin, Bitcoin Cash, Dogecoin or DASH ! Can I earn more ? YES ! you can earn cryptomonnaies by visiting and clicking on some website. Use the same email address to register and you will see your daily income increase in your dashboard ! List of websites : Bitfun to earn BITCOIN AND BonusBitcoin to earn BTC AND MoonBitcoin to earn Bitcoin AND MoonBCH to earn Bitcoin Cash AND MoonLitecoin to earn LTC AND MoonDash to earn DASH AND MoonDogecoin to earn DogeCoin AND FreeBitcoin to earn BTC . Why do you propose this for free ? Because by using our website you are viewing Ads, improving both our earning and our website metrics. Where can I see my earning ? Once you contacted us, we will give you access to a Dashboard where you will be able to follow your earning whenever you want. When can I withdraw my earnings ? As soon as you reach the minimum amount, you can withdraw it. Minimum withdrawal amount is 0.002 LTC for Litecoin. To know the minimum withdraw amount for the others cryptocurrencies, just ask us by email. Where can I withdraw my earnings ? You can withdraw your cryptomonnaies in the wallet of your choice. If you want to exchange your cryptomnnaies for $ or €, we recommend the most famous wallet : Coinbase . If you want to trade your cryptomonnaies, we recommend to use HitBTC . You have more questions ? contact us ! 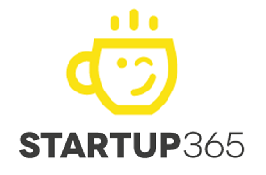 send an email at contact [at] startup365.fr .